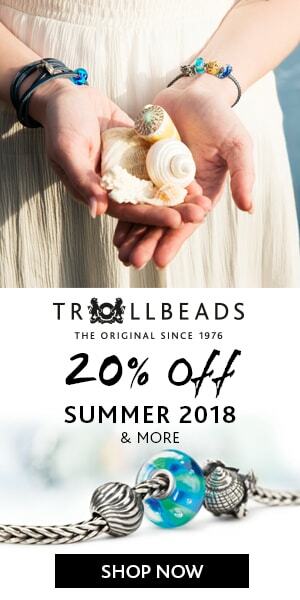 Today Beadsaholic brings the news of 2018 Beadmas with Ohm Beads! Jackie, Please email me your info or message me on social media. This year Beadsaholic will be hosting five giveaways here on the blog and on the last day I will host one here and one on Instagram! If you are not following me on Instagram you can do so here. Every year Ohm Beads gives back to Ohmily by working with Ohmsters and Ohmbassadors across Ohmverse to host giveaways. So, be sure to check out all the giveaways on social media! Today is the 1st Day of Beadmas and Beadsaholic will be giving away one Ohm Beads Santa 2E to one lucky winner! Santa 2E is part of the Ohm CPR Project. Seen here. Follow Beadsaholic on Instagram here. Or like on Facebook here. Comment below with your most unusual Christmas gift? 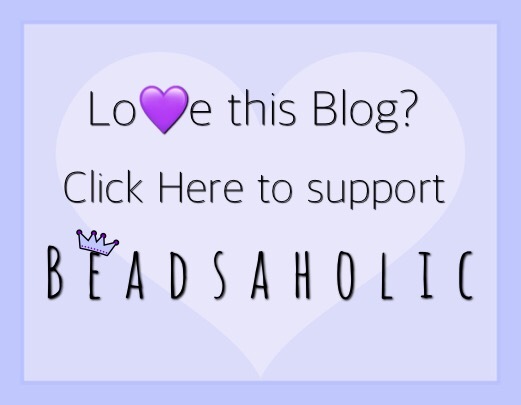 Follow Beadsaholic or sign up for emails to stay up to date on the latest bead news! Good Luck! Winner will be announced tomorrow. In my Christmas stocking one year I received motor oil and antifreeze…I was livid…until I found a wee pkg containing an engagement ring!!! Sounds like you married a prankster! Perfect touch at the end! Congrats! A tube squeezer, to get the last bits of toothpaste etc out of the tube. That is rather unusual for sure. Jackie Randall You are the random winner! Congrats!!! Thank you, for participating, Jackie! I will email you back shortly to confirm. A 1980s party dress. In 2012. 🤷‍♀️ It was pretty funny! A Hello Kitty Toaster when I was 19. Every piece of toast had Hello Kittys face on it. I threw it away shortly after because it made the toast unfortunately smell like burnt plastic but it was super cute. Cute, but I don’t blame you. Burnt plastic doesn’t sound yummy at all. Hahah! Happy u’re hosting beadmas Paula! My unusual gift sadly is a mop! 😭😫🤦🏽‍♀️ Lol. Not sure if it a hint I need to mop frequently lol. Delicious home made chili sauce! Being released from the hospital with my newborn son on 12/24/2003 after begging to be let go for the holidays. He was born on 12/21/03. Aww that is the perfect Christmas gift! Congrats! Hahaha I love when kids give little hints. My son always loves to do that. The most unusual? That’s a difficult one… I guess a pen from my mother in law. A simple small one with my first name on it that you can buy for less than 10 euros on. Christmas market around here. I’m used to her giving me crappy presents but I was NOT expecting that. Did you learn how to skate? I will say that is the newbbead. Congrats! New job can be a great gift. My most unusual Christmas gift- a box of tissue for exchanging gifts in our company’s x’mas party. LOL, maybe he wanted to learn 😂 a gift to you for him. My unusual Christmas gift was free stay and free Xmas dinner buffet in the most luxurious hotel in Thailand,right 1 month after my dad’s death from cancer . It’s like God is trying to console us with this. Yes, that’s a bit odd and unique. A trip to Europe with friends. Now that is a fantastic gift! The most unusual gift I got was a coffee mug shaped like a cats paw. Was a little strange drinking coffee out of a cats foot in the morning. My most unusual christmas gift… oh help, I think all the gift I ever got were from my list or santa knows me very well . Probably it was a trip to Disneyland Paris for Christmas I won during the christmas season on the radio. Ugly Xmas sweater! Happy Beadmas! My most unusual and my best Christmas gift. A Chinese Shar Pei puppy. I guess mine would be going into labor Christmas morning almost 7 years ago when I was supposed to have a c-section. Will annnounce Winner in the morning after I have read through all of your post! Good Luck! Will use random website to choose Winner.